So what does Solid Energy have in common with Nazi Germany and apartheid South Africa then? All three wanted to use lignite to make liquid fuels, that's right, it's coal uber alles brothers and sisters as Solid Energy try to quietly slip by that they want to produce the dirtiest, filthiest most-polluting form of coal into liquid fuels. Solid Energy claim the 12 million tones of lignite they intend to produce is an efficient use of resources that will also fuel a 500MegaWatt power station. But brothers and sisters, we have 1000MegaWatts of wind power and between 360Megawatts and 630MegaWatts of hyrdro power yet to be tapped into, so why, oh why would we use the dirtiest, filthiest 18th century technology for the 21st century? Solid Energy's boardroom sounds like it is a bad version of Back to the Future with coal eating zombies wandering around hungry because there are no brains to eat. 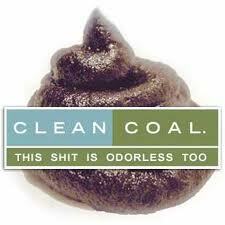 Clean coal is like good cancer, it doesn't exist. Gasification of coal wasn't a 'Nazi' thing. Our grandparents cooked and lit the streets with coal gas. Remember the gasometer next to Victoria park? That was to collect the coal gasified at the neighboring gas works. Ever wonder why inner city Freemans Bay was 'working class' for so long? Gasification is why energy companies are not too fussed about the end of cheap oil. A bit of a crisis at the pump, and the public will be screaming for fuel. You don't even have to dig the coal out. Set fire to a coal seam, control the air going in, and all the volatiles will be cooked out of the coal. Kind of lossy, but an ideal solution for fragmented seams and those under picturesque national parks. This is basically the worst thing you can do as far as CO2 emissions go. All it needs is public skepticism of climate change and a fuel crisis that threatens our current standard of living. Parliamentary Commissioner Jan Wright has exposed Solid Energy's 19th Century plans in her recent report.